I know I have been missing so long it looks like I gave up on blogging [so sorry!!!]. I had some major health issues I have been dealing with that have distracted me for a bit. I have decided though, that I should keep this up, since I enjoy writing and hearing from you as well. So let the show begin lol. They have put together a bundle that I just HAD to tell you all about! 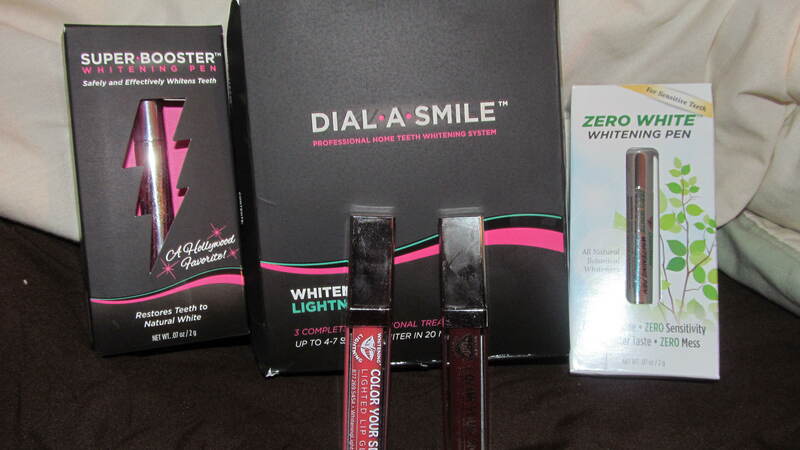 It includes: 2 Color Your Smile Lighted Lip Glosses of your choice, 2 Whitening pens of your choice, and the Profession Dial-A-Smile Whitening Treatment. Without the sale, all these items would cost around $633, but with this sale, you get them all for $99!!!! I know right?! Awesomeness!! 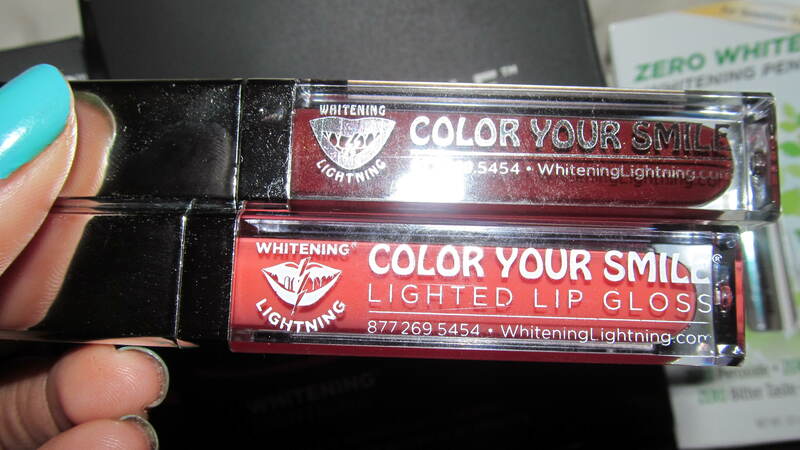 The Color Your Smile Lighted Lip Glosses actually come with a mirror on the side of the tube, and they light up when you unscrew the cap so you can apply them anywhere, anytime! 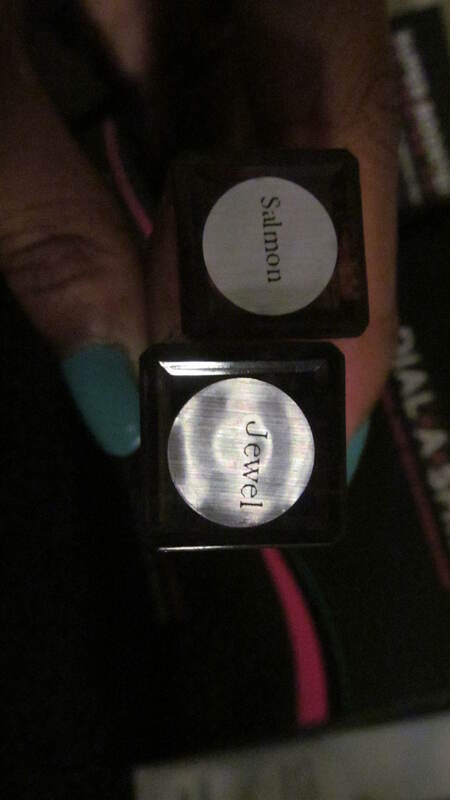 The two colors I got were ‘Salmon’ and ‘Jewel. Both colors are really pretty and perfect for all skin tones, from the fairest to the darkest, as they are not too pigmented but the color is buildable. 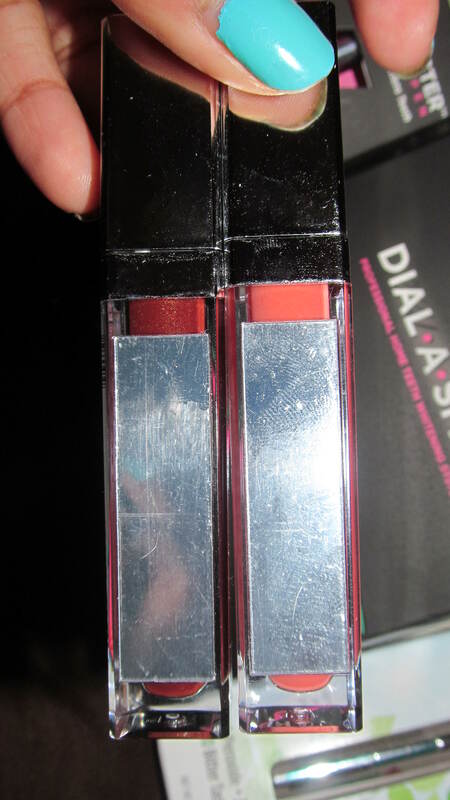 My only qualm with them is that they are sticky and I am not a fan of sticky lip glosses, as you hair can get stuck to it [not mine anymore though as I cut all my hair off 2 weeks ago! :)]. 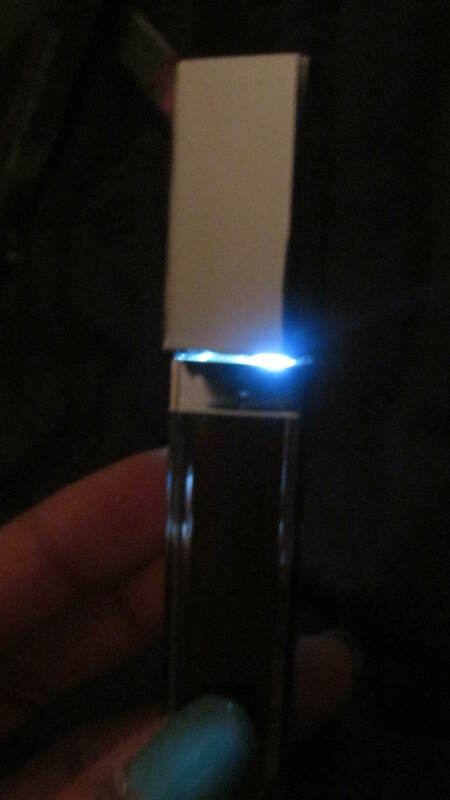 I found though, that once I added a little chapstick to it, it has a great feel. They are usually $38 each. 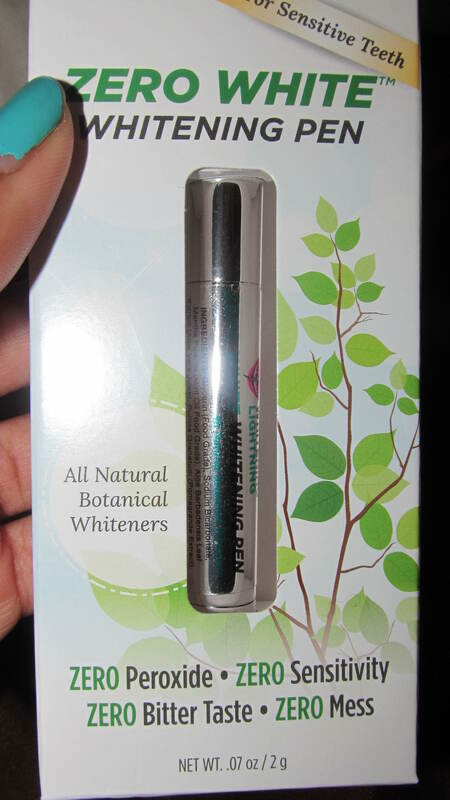 For the Whitening Pens, I chose to get one of each kind to test them out: A Super Booster Whitening Pen and a Zero White Whitening Pen. 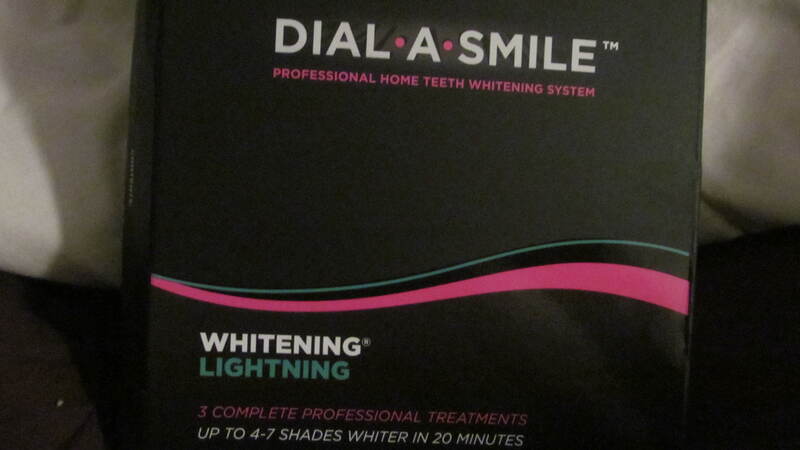 The Zero White was apparently made for sensitive teeth, which I do have. I decided to take a chance on both because every person that I have heard talk about them that has sensitive teeth has tried the regular strength and had no problems. They both instruct for you to dry off your teeth with a towel or tissue then twist the bottom of pen to dispense the product and apply a very thin layer to your teeth. 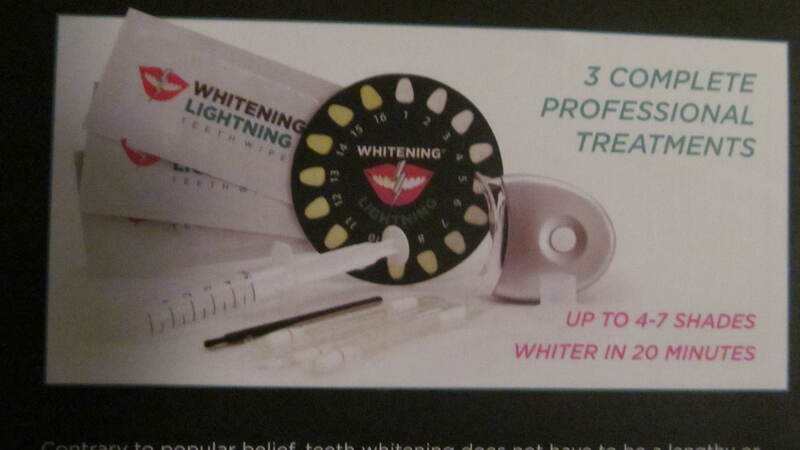 Smile widely for 1 minute to allow product to dry and adhere to teeth. You can rinse them off after many hours. Even though you can wear it both day and night, its recommended that you apply it before bedtime for 14 days. [Tip: for extra stain removal, use on back of teeth as well]. These whitening pens are $79 each. The Dial-A-Smile Professional Whitening Kit includes 3 complete treatments that can get your teeth 4-7 shades whiter in 20 minutes. It includes: the shade wheel for you to track your progress, the whitening gel, the towels for wiping your teeth beforehand, vitamin E swabs to protect your gums, and the light to whiten. 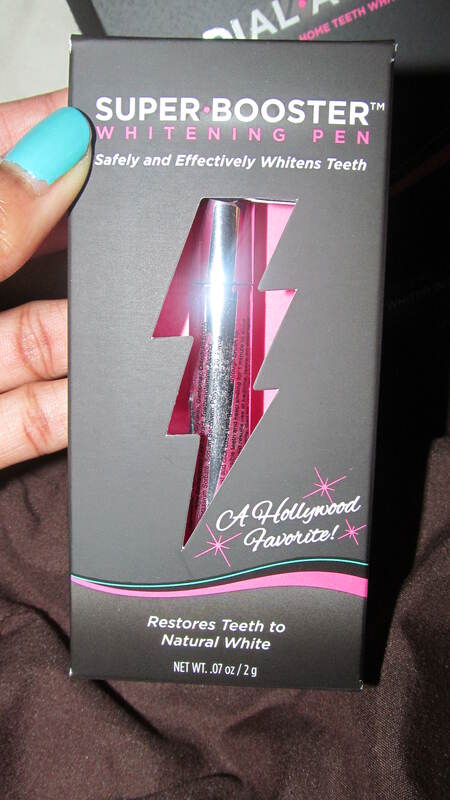 When I get a chance to try it out, I will do a review on it for you all. This kit costs $399. Hope this was helpful for you guys! Next Post Coastal Scents Haul + Giveaway!